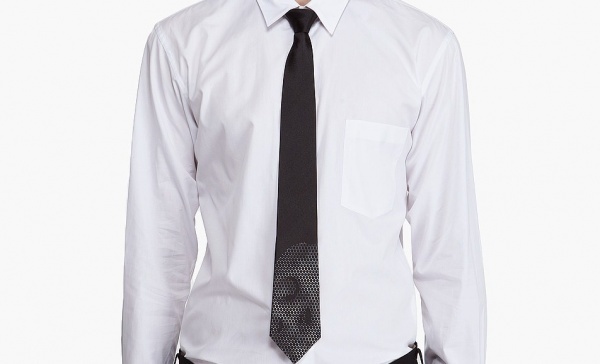 From Alexander McQueen, this basic black neck tie is given some added visual interest with a dot pattern at its tip. Though seemingly abstract, the pattern appears to depict a portion of a skull image. Made in Italy, the silk black tie features logo-printed green lining and is available online. This entry was posted in Ties and tagged Italy, Tie. Bookmark the permalink.